Outcomes Research is an integral part of Computers in Homes and other 20/20 Trust programmes. This research reveals the effects of our initiatives, both looked for and unexpected, and gives valuable evidence-based input into planning of refinements and extensions. Clear issue statements, outcome summaries and participant stories are designed to be accessible and useful for participants, supporters, policy makers, planners, practitioners and academics. Government funding for Computers in Homes ended in June 2017. This report is based on the online experiences of families who joined the scheme in 2016-2017. 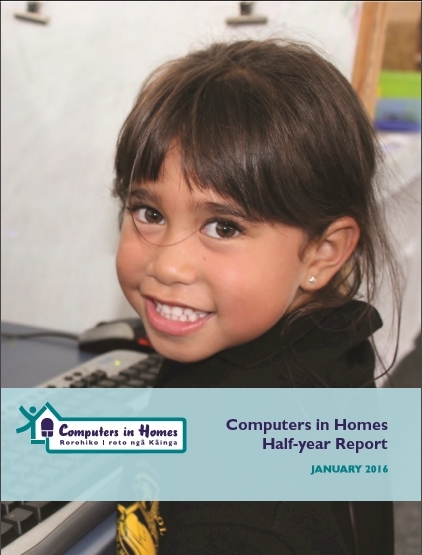 Research outcomes from Computers in Homes Half-year Report January 2012. Personal testimonials and thanks from parents and teachers.